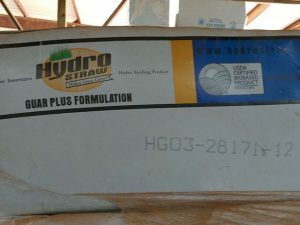 Other Products – Tri-Turf Sod Farms, Inc. 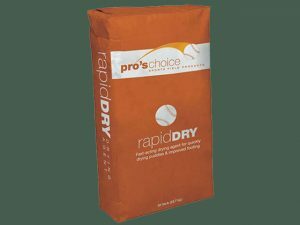 Pro's Choice Rapid Dry - Field drying agent that acts quickly to soak up puddles to make fields playable. 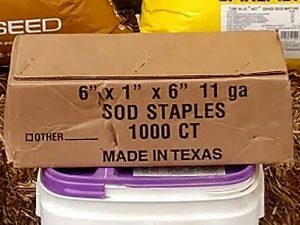 Forty 50-pound bags per skid. 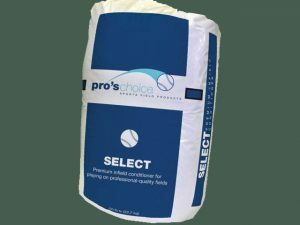 Pro's Choice Select - Used as a top dressing on conditioned fields. 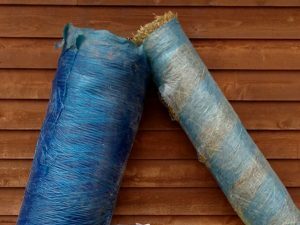 Its smaller size absorbs water more quickly and is preferred for sliding. Forty 50-pound bags per skid. 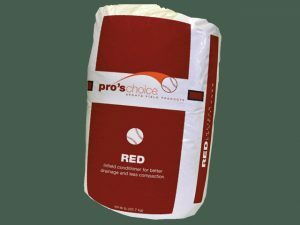 Pro's Choice Red - This calcined montmorillonite clay has been designed for the sports turf industry. 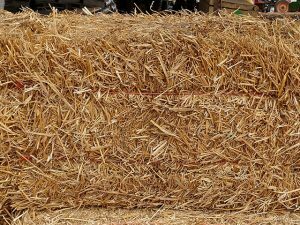 Resists breakdown to keep working year after year. Forty 50-pound bags per skid. 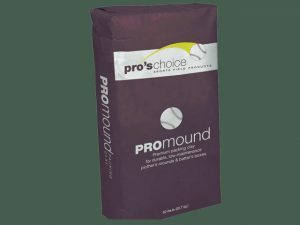 Pro's Choice ProMound - A unique blue gumbo clay that bonds to form a solid subsurface base at the mound and batter's box area. Allows players to dig in for footing without creating large holes. Forty 50-pound bags per skid. 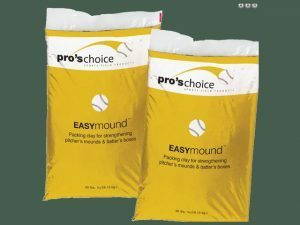 Pro's Choice EasyMound - No baseball field is complete without properly installed batter's boxes and pitcher's mound. 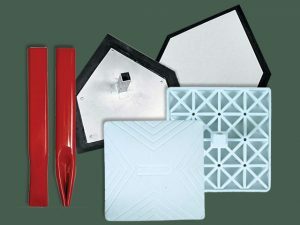 Ideal for quick and easy building repairing pitcher's mounds and batters boxes. 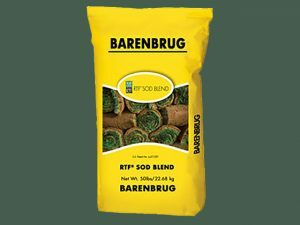 Forty 50-pound bags per skid.